Rhino Roof Bar Volkswagen VW T5 Van 4 Bar Van Delta Roof Bars System Using T Track and the new aerodynamic Delta Bar. System comprises of:T54TD kit and B44 bars. 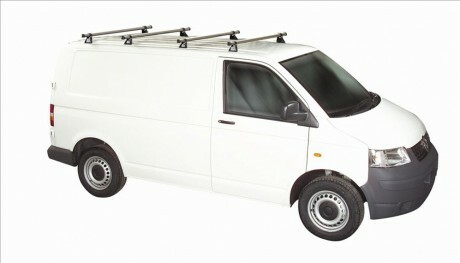 For vehicles fitted with a T Track System only. Please allow 3 working days for delivery. 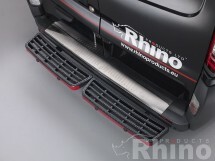 Plyline UK Ltd offers free delivery within the mainland UK except Rhino Products orders. (excl. Northern Ireland, Channel Islands, Scottish Highlands and Offshore Locations). 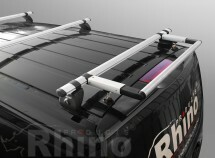 Rhino products will incur an additional charge of £9.99 + VAT per delivery. We do not offer free delivery to the following postcodes and due to additional costs may charge extra for the following post codes HA, IV, KA, KW, PA and PH. If a customer orders from a postcode area incurring an extra delivery charge, the customer will be contacted by phone or email and given the option to pay any extra charges or cancel the order. Customers will be responsible for the carriage/delivery cost of all returns. The cost for these postcodes is £35 + VAT. THIS ONLINE SHOPPING SITE CANNOT BE USED TO PLACE ORDERS OUTSIDE THE MAINLAND UK. We aim to dispatch all orders within 3 to 5 working days (excl. weekends and bank holidays) for stock items. Expected delivery dates or times given by Plyline UK Ltd, our suppliers, or our carriers are given as a guide only. We cannot be held liable for any losses or costs incurred from delivery at a different date or time.